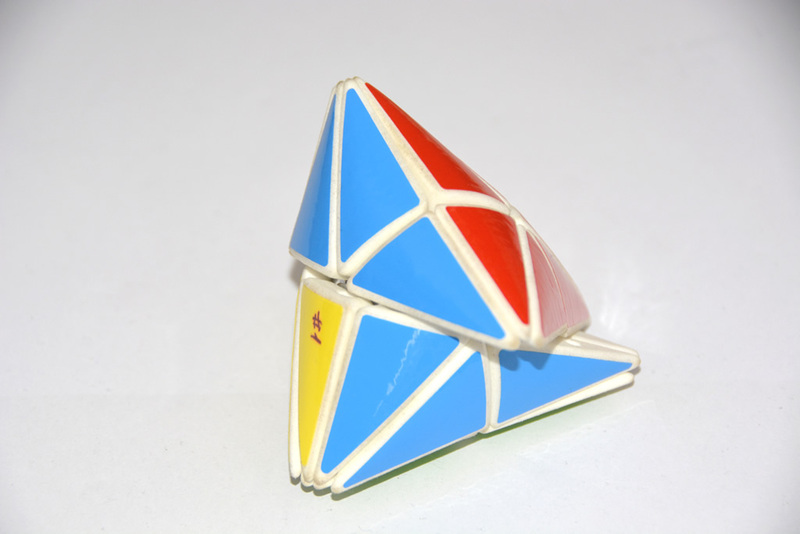 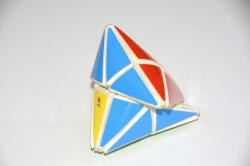 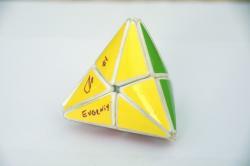 Tetrahedral shape variant of the 24Cube. 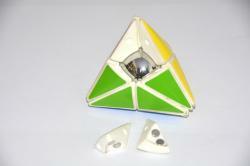 The puzzle does not have a real mechanism, but is based on a metal ball with 3D printed pieces attached by magnets. 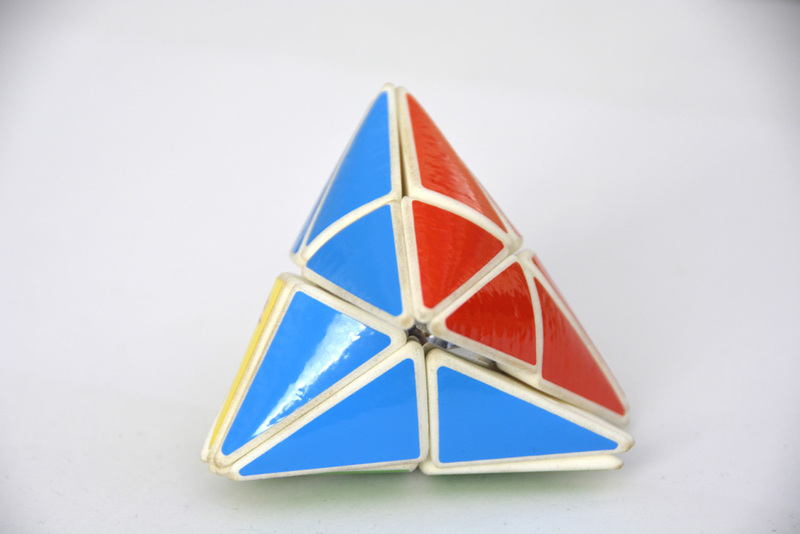 The magnets are quite strong, so it needs some power to perform a twist. 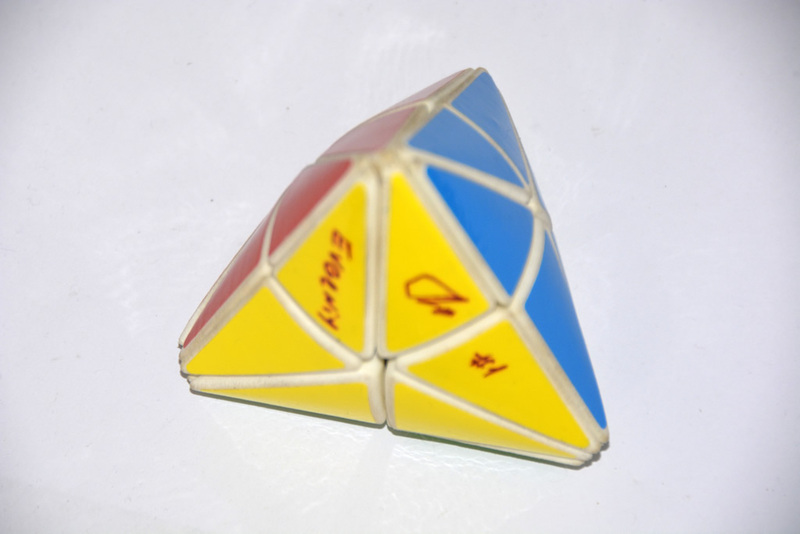 With some experience it is possible to make more or less exact moves. Nevertheless it is too often necessary to adjust the pieces exactly afterwards. Using simply a magnetic core is not optimal for a twisty puzzle, unfortunately.